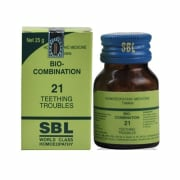 SBL Bio-Combination 21 helps in absorption of calcium and phosphates and reduces all the signs and symptoms associated with tardy dentition. It helps children who are crying, obstinate, peevish during dentition and improves appetite and digestion. It is also useful in enhancing overall growth of body. Take 2 tablets three to four times a day or as directeded by the physician. 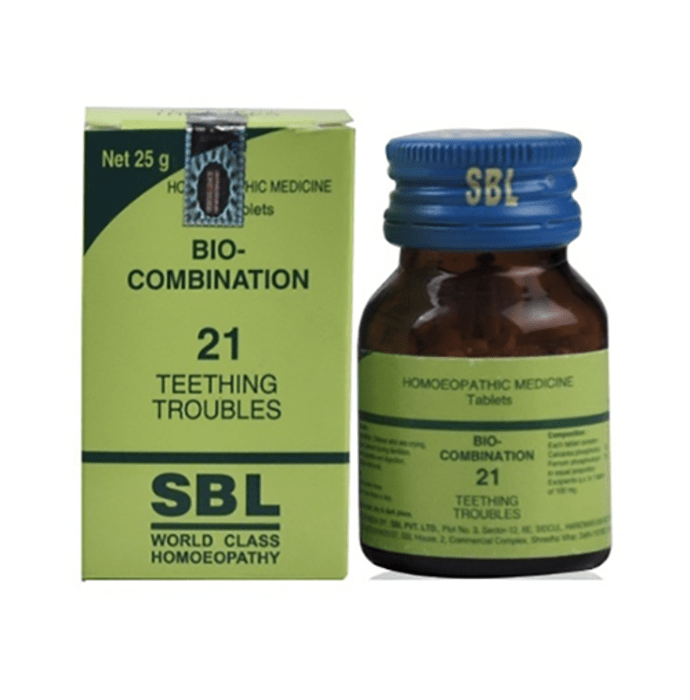 A licensed pharmacy from your nearest location will deliver SBL Bio-Combination 21. Once the pharmacy accepts your order, the details of the pharmacy will be shared with you. Acceptance of your order is based on the validity of your prescription and the availability of this medicine.